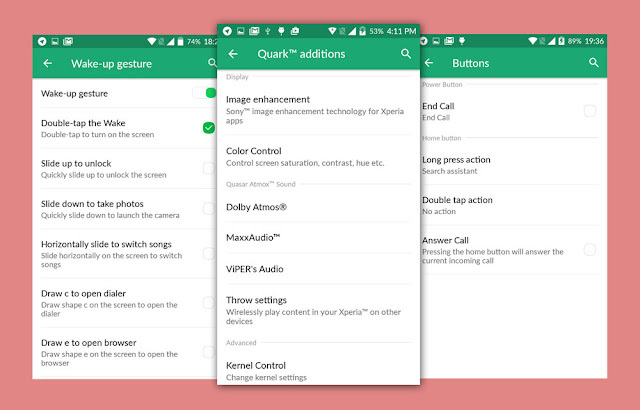 I am very happy to release my first version of QuarkOS for Yu Yureka and Yureka Plus. 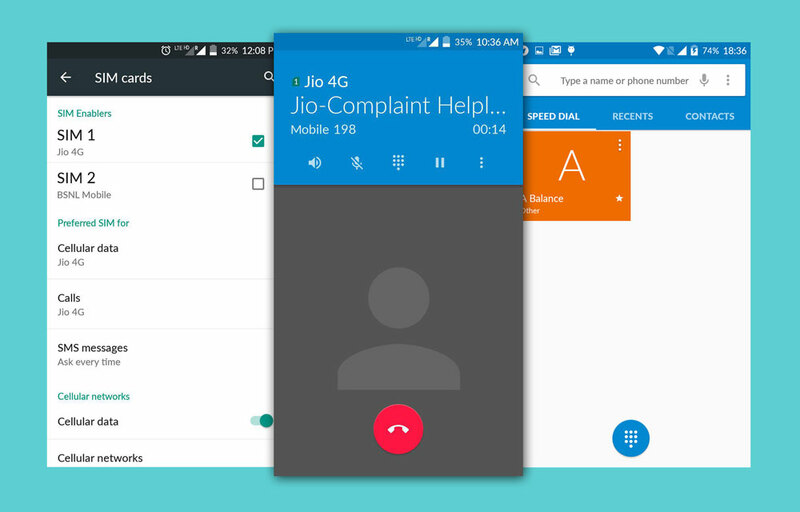 With the demand of VoLTE support for Yureka (especially after the arrival of Jio :p) and availability of YU5510A-LP VoLTE modem there was a need of a good ROM/OS which can use the modem much efficiently to provide VoLTE calling and other LTE features. So, here comes the QuarkOS™ fully designed by me. It will give the best VoLTE experience with best battery backup to Yureka users without any heating issue whatsoever. 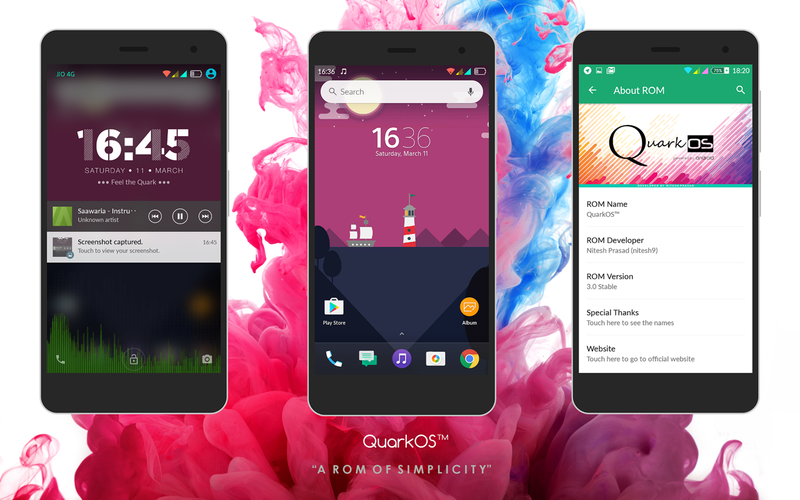 QuarkOS™ gives you the best telephony, best UI, best sound, best performance, best battery backup, best camera performance and best ever user experience. Fully optimized for best VoLTE calling, 4g Internet, without any unwanted battery drain and heating issues. The ROM incorporates the best of Xperia apps from Xperia X and Z5 Premium and gives the ROM a premium feel. 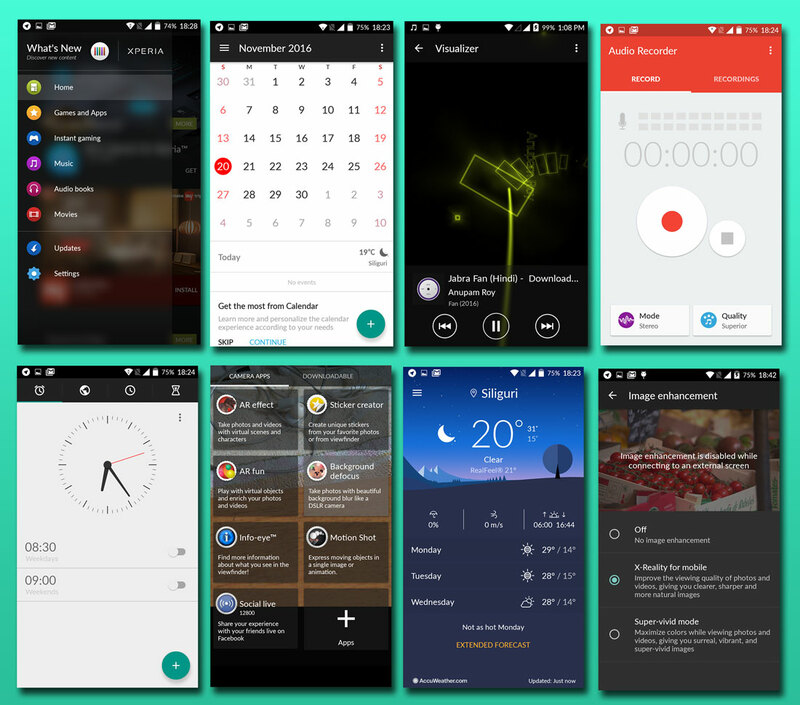 It also comes with some of the best Xperia features like Xperia camera add ons and plugins, widgets, Xperia live wallpapers, ringtones and lot more. ROM's UI is very creatively designed to give the best user experience without compromising the performance of the ROM. Much work has been done on touchscreen responsiveness and smoothness of interface. It also includes beautifully designed wallpapers and icons to give a supreme look and feel to your phone. Quark UI gives you a feel of Android N (Noughat), though it is based on Lollipop 5.1.1. QuarkOS also includes some remarkable features like colour enhancement and Xperia™ Image Enhancement technology. It supports smart gestures as well as screen off gestures. Yureka camera has been fine tuned to provide best pics even in low light. It also includes other features like install apps directly to SD card, button setting, adblocker etc. 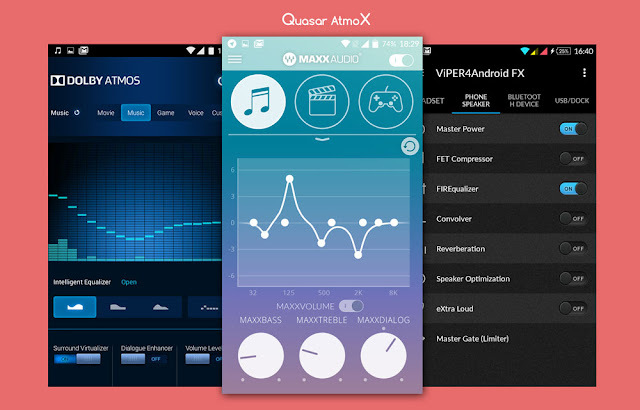 QuarkOS is powered by Quasar Atmox Ultimate Sound System Maxx Edition. You’ll definitely feel the difference. 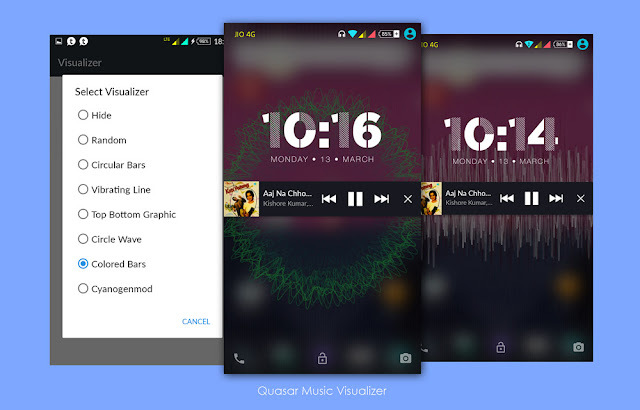 QuarkOS™ packs in it the best Xperia camera addons and apps with Image Enhancement Technology. It comes with original CoolUI camera which gives an outstanding performance for Yureka. 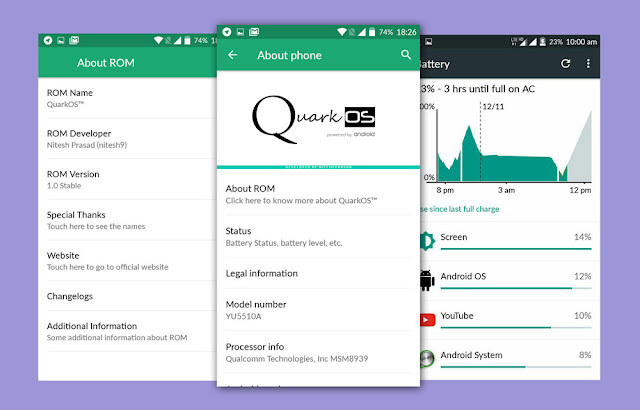 Quark™ optimizations gives you the best battery backup even with WiFi and LTE services always turned on. 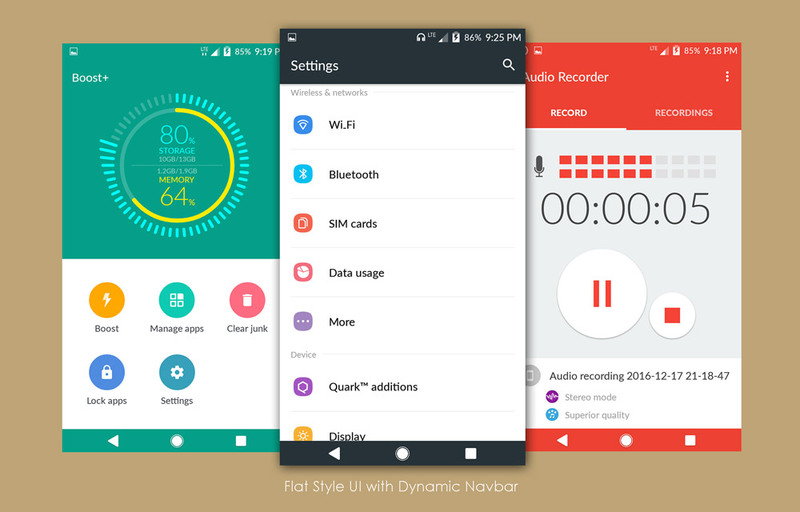 Performance has also been optimized for quick response and easy multitasking. - And many small things here and there. Flash "QuarkOS_Navbar-Enable.zip" to enable the navbar >> Reboot >> Open Display settings >> Key backlight control >> Check "Lock off bklight"
Q. 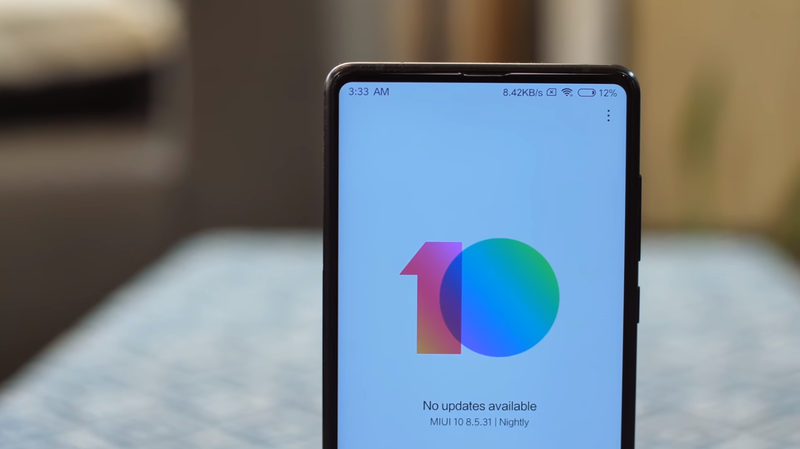 How to enable led notifications for apps when phone is not docked? Ans: Open the provided Light Manager app from the app drawer >> Give it notification access when prompted >> Add your favourite app >> Check "Enable" >> Change Flash Rate to "None" >> Color to Red or Green >> Done. Q. How to enable double tap to wake? Ans: Go to Settings >> Smart control >> Wake-up gesture >> Enable Wake-up gesture >> Check "Double-tap to Wake"
Q. How to enable double tap to sleep? Ans: Go to Settings >> Smart control >> Buttons >> Double tap action >> Turn screen off. After this double tapping the home key will sleep the screen. Q. 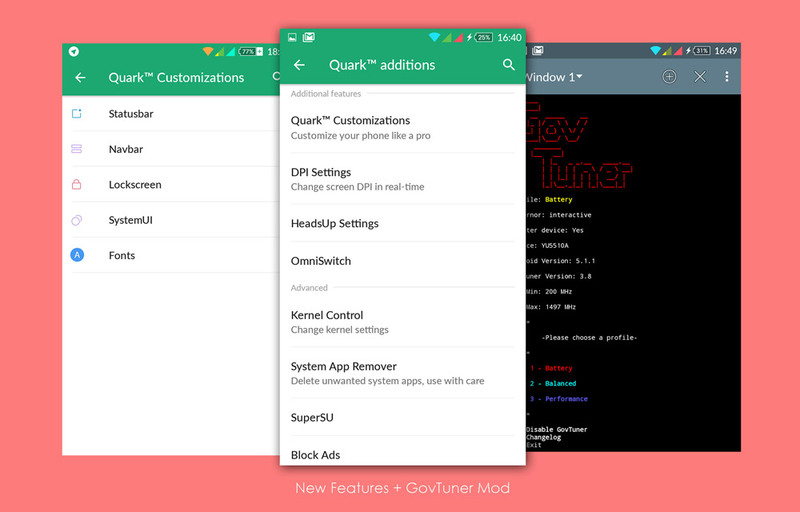 How to use GovTuner in QuarkOS 3.0? Q. 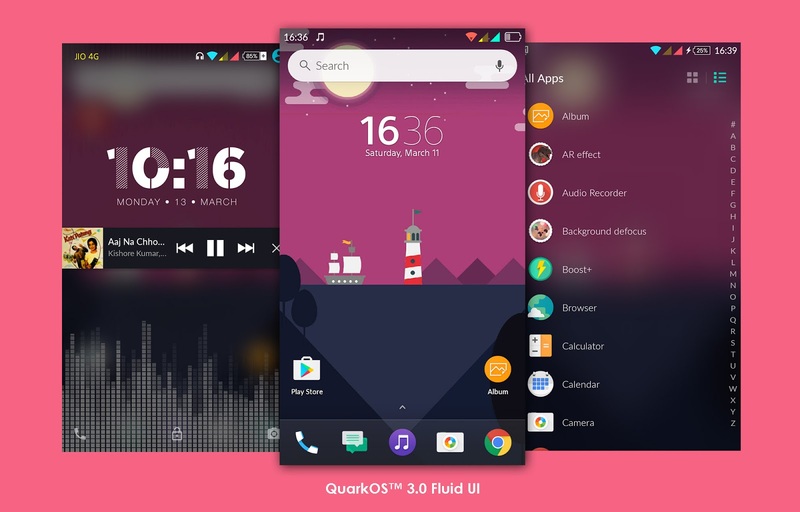 How to enable Google Search widget in recents in QuarkOS 3.0? So, to get it back install Google Now launcher (or any other) and then make it default and disable Evie launcher from Settings. Then reboot your device. You will see that Google search in recents will come back happily. Then you can revert back to Evie launcher. Workaround: Use Light Flow Pro app (or LED Blinker app) to set led notification for your favourite app. Set the LED to “Always on”. Limitation: Since the ROM is fully based on AOSP, there is no native support for NTFS and exFAT file systems. Workaround: Use Paragon NTFS, ExFAT Mounter app from Google Play. 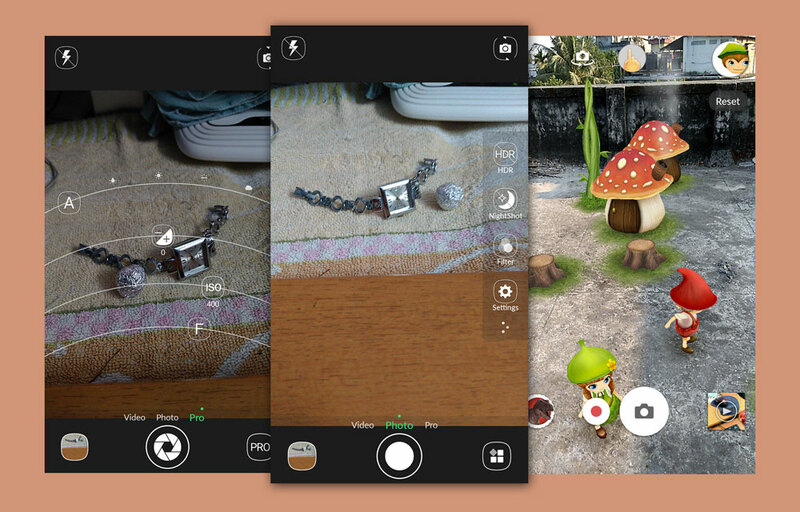 Use Xperia Camera Widget to access all the Camera addon apps. Special thanks to Evie Labs Inc. This source contains all the history of methods that I used to make the ROM. 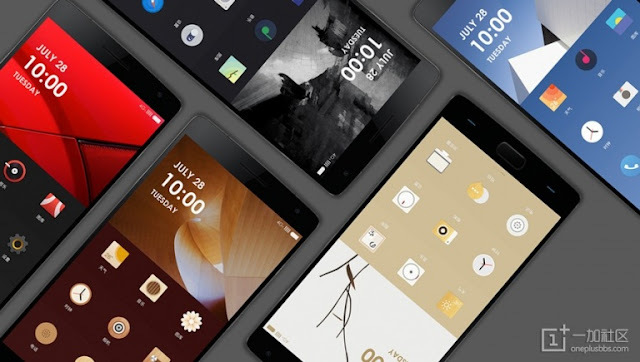 Now Devs of different devices can try making with different bases like MM, N, MIUI, Lineage etc. Now users can know the secret of making ROMs by modding. And there's lot to learn. nitesh prasad when will be the next update arrive? Hi there. I tried flashing through twrp from my cm11 and I am getting the error "some symmlinks failed. installation aborted". What should I do to rectify this error? yeah..i too had the same problem. What should I do? How is battery life while using VOLTE ?? from where i get those hidden setting options like key backlight duration when i search in settings it shows in search bar bt then i can't find that option plss clear this ASAP. bro nice work please provvide patch for led bug and battery performance..
can I update v2.0 on v1.0 without losing out the data by dirty flashing. Or need to flash a fresh by wiping every thing. ROM is excelent one,i loved it. I loved your rom v1.0. how i can update v2.0 on v1.0 without losing my data. Can i dirty flash on existing rom so that i can retain the data or I have to flash v2.0 by wiping every thing normal way. Thanks in advence. Wipe the directed partitions except /data and then flash the new build. video calling facility not working in quark os v2. Clean flash the ROM then flash VoLTE Modem. Also try connecting a charger while booting. I have clean flashed V2.0 but the only problem is ear piece and mic volume is very low,other party can't hear properly. I have even edited mixer file and changed ADC1,ADC2,ADC3 values to zero and rebooted but still same,but if I install cyanogen 12.1 then I can hear properly as well as other side can also hear it properly.Please help. I flashed this ROM yesterday and must say it is the best I've used. But don't know why I am getting this issue 'Camera not available' while using Xperia camera apps. Also native app is not working. I actually did a wipe of internal memory while flashing. Don't know if the problem persists bcoz of it. Please help. Wiping internal and data after flash may have caused the issue. Try a clean flash. Nice work bro. However still some small issues, my default location in clock is kolkata, i am unable to change it. Battery works superb in stand by mode but on WiFi draining very fast. whole 100% draining within 1 to 2 hours, do i need to change any settings? kindly help bro. Kolkata is showing because Indian timezone and you cannot change it cuz you are living in India. For battery try tweaking the Kernel Adiutor settings...I am not an expert in these things. However I am working on it. Nitesh Bhayya ROM is really Awesome. 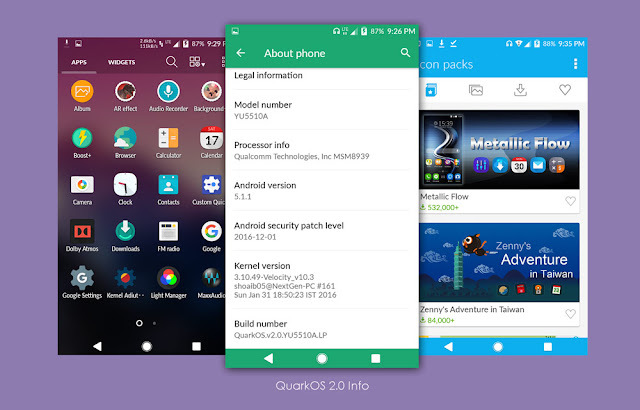 Is it possible to release a lighter version of QuarkOS with some basic apps, VoLTE and prolonged battery backup? Hie nitesh prasad ,this ROM is very good. Thanks for building this. But some apps like ICICI Imobile,Citrix Secure hub do get shut down on their own. please suggest any solution. Sir new ROM kab take aayega?? Ye ROM bahot hi acha h sir pr kabhi kabhi restart ho Jata hai apne SE aor kbhi kbhi restart ho Kr quark os k logo pr hi Ruk Jata hai aor fir SE wipe data KAR k install krna pdta h sir. Koi solution hai eshka jis SE ye problem solve go jaye? Aor sir agla build Marshmellow hoga ?? Rebooting issue is there only for you I guess. Try formatting your all the partitions completely. Also check for battery calibration and problems. 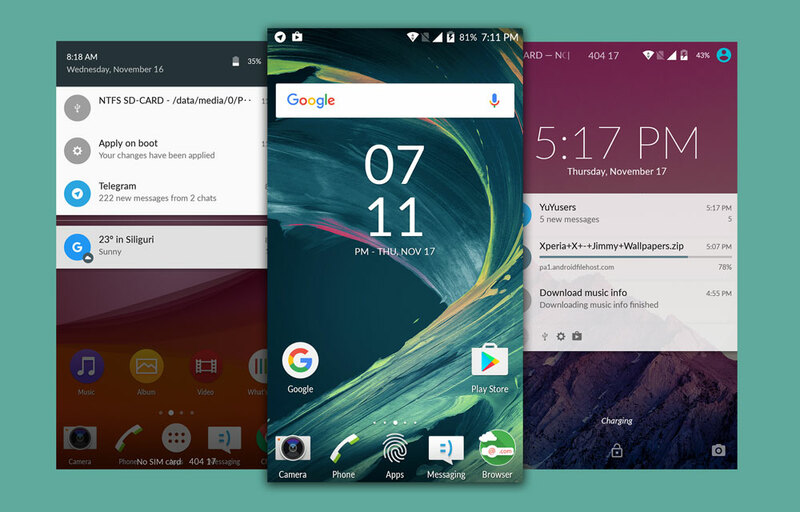 No, the next build will be Lollipop. Please do reply NITESH PRASAD. Try updating your Android System WebView app from playstore. It will fix the issue. I want to give my Heartfull Feedback on your ROM ( QUARK OS ). Before that i want to disclose my problem. I have faced lots of problems with yu yureka marshmallow update. Every time mobile going to swith off and voice is not clear. I have installed twice or thrice the same rom freshly - But problem not solved. At that time i have decided to change the rom for my mobile yu yureka A5510. i have got lots of roms in google search. Finally i have selected QUARK OS V2.0 and installed VOLTE UPDATE. You are ROK bro. Your ROM is working fine with no bugs. Awasome sound Quality , extradinary Performance. , Very Very Smoothness. No words to say the Performance, Design, USER FRIENDLY. Only one issue is Battery Backup. )Max 1200 & Min 200 on both clusters. 2) Darkness governor on both . 4) Enable schedule workque in cpu tab. 5) Disable all wakelocks in wakelock tab. 6) Enable adreno idler in Gpu tab if it is not enabled by default. Battery backup will come 4 Hours, Not so Poor. I request you please work on Battery backup. Once again I am very very very thank fullllllllllllllllllllll for giving such and Extradinary ROM. Nice feedback. Have optimized the battery usage in QuarkOS 3.0. Phon wahot hit ho raha ha ka karu.. I was using this rom since last two months, suddenly my phone started rebooting frequently and stuck at quarkos logo. I clean flashed, but it was not booting without charger plugged in. Than I installed RR ROM, problem to some sort solved, but rom was not that good. So flashed this again with new battery. It started working fine but I lost video call option while calling. Volte is working but without video call. How to get that option back. There's no such issue in this ROM...try downloading ES File Explorer from Playstore. 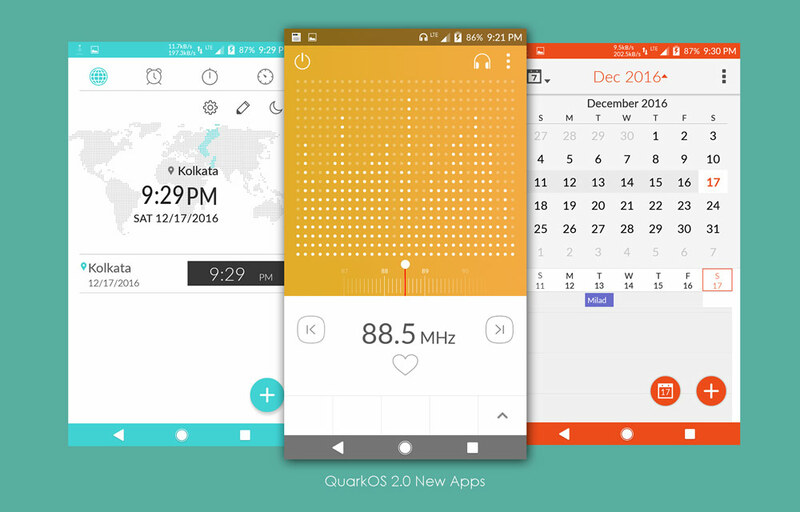 I am using quark Os in yureka. I am facing issue sometimes dialer hang.I make a call but no sound received in ringer and mic also not working while reciver received a call and dailer showing calling. It donor shows the call picked up by reciver.Please help me. Try flashing Volte Modem again from recovery. Thank you for the awesome ROM. You have given a new life to Yureka. Haven't faced any issue with this ROM except unread message/whatsapp/missed call count not shown. Proximity sensor not working in this recent rom. volte is not working...pls help everything i did like given in the procedure...but volte is not working ..i flashed the rom again and volte modem but again volte is not working..
After installing v3.0 I'm not able to do video call from phone dialler. Is there any way to fix it? Hello! Nitesh Bhai, My yureka got bootloop. How to fix also Imei is gone. Please help me. 2)I have 64GB sdcard but the data is not showing can u please let me know which type of filesystem is recommended for SD card to work properly for this rom ? 3)System time resetting to January 1 1979 2am ...I tried with Automatic/ Manual time setting still the issue is there . 4)Phone heating too much at top right screen any reasons even though very light use. 5)Random reboots are seen often. I too facing similar problem. OS unable to utilise external 32 GB card. File explorers able to explore but programs don't get installed on external, nor getting moved to external and video players and audio players unable to detect media on external SD card. But VoLTE isn't working. Tried all you mentioned above. Yes it has Boost+ from HTC. Hi Nitesh ROM is very nice but phone is heating somuch with quark is 3, is there any patch for the same. really great work, but I feels there's still a lot of scope for improvement. Now, I'm stuck at bootloop, soft brick. installed the rom again but still the same. my yureka is not booting up. now going to give it last try by wiping system as well. Rom is fine but on quark os 3 the Dolby Atmos app is not opening .... What to do ? I tried to install this ROM in my yureka(ao5510) but it's not installing. It's saying "updater error 7, ROM not installed"
Please kindly help/guide me how to solve this problem. The ROM worked great & perfectly for 3 days, great performance, no heating, superb volte support and now got into bootloop suddenly. tried to reflash the ROM but of no use. please kindly guide me how to overcome this problem. Wipe all dalvik & cash & data & than reboot to recovery & agn flash ROM.